A jumble sale, conducted by Sri Lanka Cancer Society to provide medication and welfare facilities for cancer patients will be held on April 6 (Saturday) at Mathew Hall, St. Michael and All Angels, Polwatta, Colombo commencing at 8.30am. 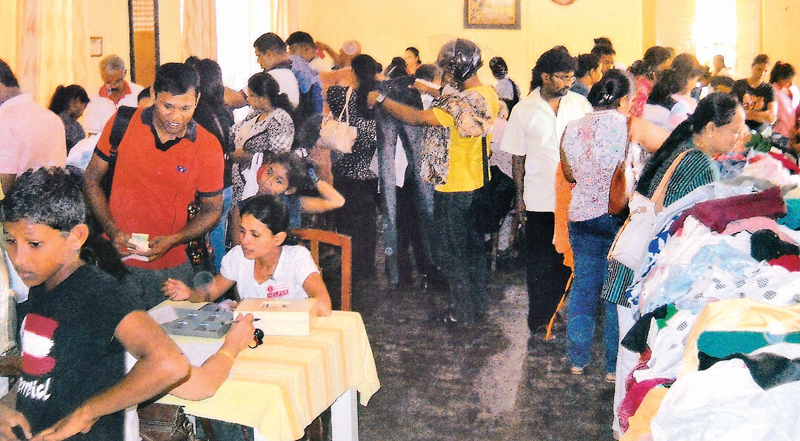 The Jumble sale is an annual event conducted by the Sri Lanka cancer Society to sell a collection of miscellaneous goods to raise funds to improve welfare facilities of cancer patients. 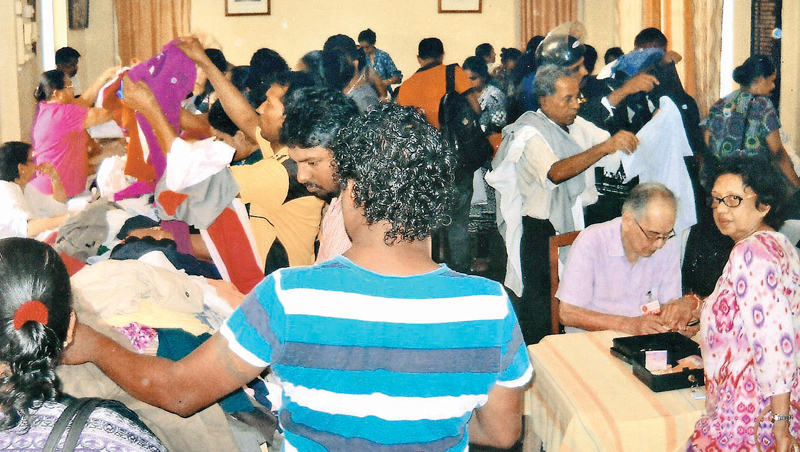 SLCS, General Secretary and Project Co-odinator Perin Captain said the proceeds of the jumble sale are utilized to conduct the monthly free poly clinics to cancer patients and also to screen females for breast, oral, cervical and skin cancers at Cancer Society Head Quarters, Bullers Lane, Colombo 7. “The proceeds will also be utilized to maintain the `Cancer Hospice’ (adjoining the Apeksha Hospital) at Maharagama for terminally ill cancer patients and also cancer homes run by the Sri Lanka cancer Society island-wide,” she said. She added anybody who visits the jumble sale could buy very useful items such as clothing, groceries, baby items, electrical goods, books, costume jewellery and various other miscellaneous items at affordable prices. She further said the `Jumble Sale shop’ will also be a forum to educate the buyers on early detection, medication, diet and the change in life styles in the prevention and cure of this dreaded illness. Meanwhile SLCS, Public Education Committee, Chairperson Indrani Nanayakkara said another charity collection centre the `Op Shop’ is open for purchasing clothes, household goods, educational equipment, footwear, school bags etc to raise funds for cancer patients every Friday from 9.30am to 2pm at SLCS Head Quarters.